Have you ever had a medical problem and had to make a decision between treatment options? With a wide variety of treatments designed to heal most dental issues, patients are often faced with a choice on how to move forward. This choice is often a difficult one and many factors may have to be considered. But when faced with a problem like missing teeth or the inability to sleep, it makes sense to pursue professional care. Explore your treatment options for these common dental problems. What Factors Must Be Considered? Cost – is one treatment significantly more expensive for a comparable result? Time – Do you have the time to spare for all treatment options? Lastability – Which treatment will provide the most long-lasting benefits? Success Rate – How often is this treatment successfully completed? Personal Preference – Are there unique reasons you like one option better? Missing Teeth? Know Your Options! If you know someone who’s missing many or all of their teeth, it’s most likely that they wear dentures. Worn by 90% of the population that’s missing teeth, dentures are removable tooth replacements designed to enhance chewing and speaking ability, as well as appearance. 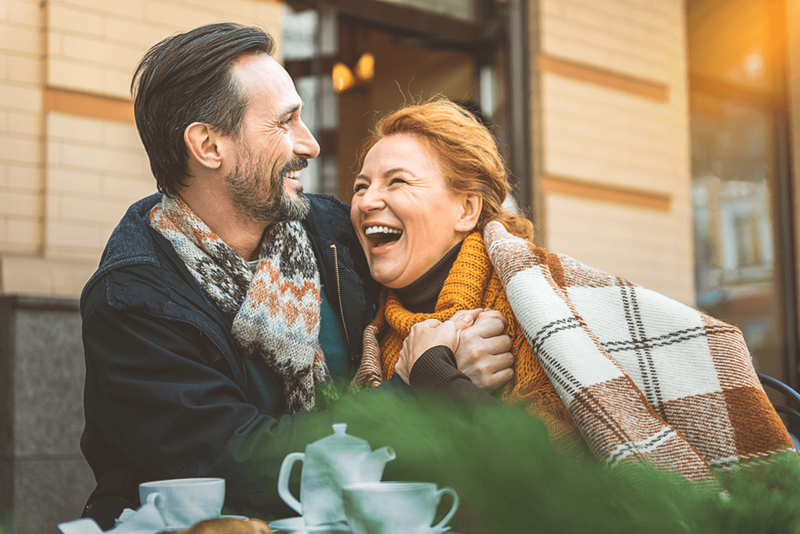 While many patients complain that they don’t fit right or cause discomfort, dentures remain the most affordable and common type of dental restoration. Another relatively simple way to replace one or several adjacent missing teeth is with a dental bridge. A dental bridge is anchored to the natural teeth at each end of the gap. The bridge supports a prosthetic tooth called a pontic which spans the gap to restore function. Dental bridges have the advantages of being simple, quick, and affordable for those who qualify, but they only offer a fraction of the function and stability of dental implants. Among the three ways to replace your missing teeth, dental implants come with exclusive benefits that make them the superior treatment. As the only dental restoration that simulates a tooth root in addition to the actual tooth, dental implants are the gold standard for replacing your missing teeth. However, with that quality comes a hefty price – implants are by far the most expensive of the three treatments and they’re rarely covered by insurance. Who Can Provide Dental Restorations? Once you have an idea about the type of dental treatment you want to pursue for your missing teeth, the next step is to find the right dentist for the job. While general dentists are qualified to undertake the procedures for dentures and a dental bridge, advanced training is strongly recommended for dentists to lead dental implant surgery. Doctors like Amanda Sheehan from Oakland Dental are able to place dental implants with a very high success rate, so make a consultation for more details. Need Sleep Apnea Treatment? Know Your Options! Sleep apnea is a disorder that can rob you of the sleep you need, resulting in strain on your health and relationships. More than just causing loud snoring, sleep apnea prevents you from receiving the oxygen you need at night, ruining your sleep and taking a toll on your health with each passing night. Two effective treatments exist for this debilitating disorder and their effect on patients and their comfort levels are dramatically different from each other. Until recent years, the CPAP was the only approved treatment for sleep apnea disorder. Resembling a gas mask, the CPAP machine is designed to force air into the airway. While some patients are able to use this treatment method, so many of them have complained about the noise, pressure, and discomfort associated with the device that oral appliances are quickly becoming the preferred alternative. Where Can You Find CPAP Treatment for Sleep Apnea? Since many patients are able to find success with the CPAP device, it’s common for sleep specialists to still include it in their treatment plans. One such sleep specialist is Dr. Kellye Rice in Brentwood, TN. After a consultation, she’ll decide whether the CPAP device or another method of treatment is ideal for treating your sleep apnea. A treatment born out of the need for more comfortable sleep therapy solutions, oral appliances make drastic improvements over the CPAP device. Resembling a retainer in size, oral appliances come in many forms but all have the same goal: Clear your airway and allow you to breathe normally again throughout the night. Where Can You Find Oral Appliances to Treat Your Sleep Apnea? As the discomfort caused by the CPAP device becomes more well-known, many sleep specialists are making that anti-CPAP approach a key to their practice. In offices like that of Dr. Wes Yemoto in San Jose, CA, the term “CPAP-alternatives” is used to ensure that they provide treatment methods that are far more comfortable than the CPAP device. What Are the Most Important Factors for Your Treatment? Whether you need the absolute best quality no matter the cost or just want the most comfortable dental treatment available, there are often multiple approaches to finding a solution to your dental problems. When making crucial decisions about how to approach your treatment, it’s wise to consider the values that matter the most to you. That way, you’ll know you made a decision you can be happy with for years to come.